When someone mentions BtoB, the first thing that many, if not most, people will think of is ballads, and for good reason too — the seven member boy group is known for their stellar vocals and ballad releases, winning the best ballad and vocal awards at various awards shows. Fewer people know that the group have actually consistently been releasing dance title tracks like “Beep Beep”, “Wow”, and most recently with “I’ll Be Your Man”, despite being more known for their trilogy of ballads with “It’s Okay”, “Way Back Home”, and “Remember That”. 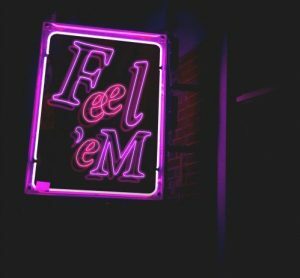 Their latest comeback, in the form of a mini-album titled Feel’eM, further shows the group’s growth and maturation as they explore jazzier, ’70s-inspired sounds to reveal their versatility. The cinematic concept of their title track, “Movie”, perfectly matches this retro style with hints of funk. From what we have seen in their V Lives and stages, all the members love to have fun and aren’t afraid to let loose both on and off the stage (case in point: Eunkwang’s and Changsub’s special stage with A Pink’s Bomi and Namjoo at the 2016 MBC Gayo Daejejun), so it’s nice that the groovy and fun feel of the song suits BtoB’s unique, real-life beagle personalities very well. Might I also add that their music video is pure gold, with each member embodying characters from famous movies like Suicide Squad, Kill Bill, and 8 Mile! Musically, “Movie” ties in well with similar tracks like “Rock N Hiphop” and “Just Tell Me” to create cohesion. Strong rhythmic beats with strumming guitar suggest a full live band arrangement over the increasingly-common electronic instrumentals. Although these tracks are uptempo, there’s still a very relaxed vibe. But how could I review BtoB’s album without talking about their amazing vocals? 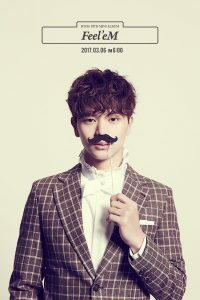 The group is known for their powerful voices, and while that is heavily featured in their songs, this is mixed in with their softer falsetto vocals as heard with Changsub and Sungjae in “Movie”. Their perfect harmony is on display as many of their groovy tracks feature heavy harmonisation especially in the choruses. Unfortunately, the rap line — Minhyuk, Ilhoon, and Peniel — is often overlooked in favour for the vocal line, which really is a pity, since the rapping is such a highlight in many of their tracks. Ilhoon is one of my personal favourites, because of his smooth sing-rapping style, allowing him great versatility and adaptability in different styles of music. Combined with Minhyuk’s power and Peniel’s quick agility, they really do make the dream rap team. 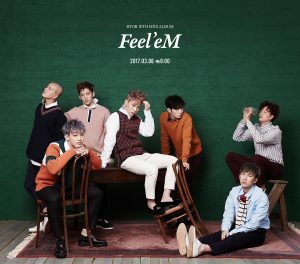 Btob’s tenth mini-album Feel’eM is a testament to the group’s versatility and development musically. They have shown that they understand their strengths and areas of appeal in the vocal ballad sector, and are not afraid to build on that to explore new styles of music that are unique and fitting of their charms, which is refreshing for K-pop groups today. Their maturation is extremely impressive, and frankly, there isn’t a dull songs on this album that makes you frown and press the skip button. So yes, I do really “feel’em” in their new album!